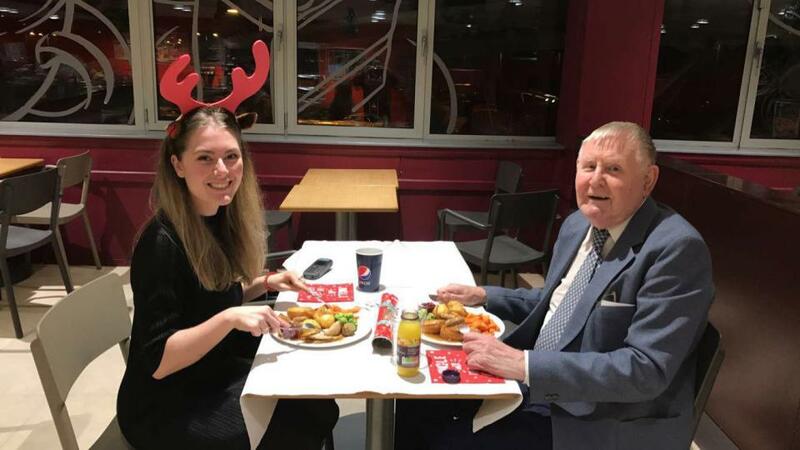 A supermarket worker who invited a lonely widower to dinner after hearing he had no close friends or family said their ‘date’ reduced her to tears. Ellie Walker, 22, invited Edwin Holmes, 86, over to dinner after she heard he spends most days alone since his wife of 45 years passed away in 2006. Edwin Holmes regularly shops at Sainsbury's Supermarket and over the past three years has forged a friendship with Ellie Walker who has worked for the supermarket now for three years. Edwin lost his wife of 45 years back in 2006 and now lives in sheltered accommodation. He is a popular face at the supermarket, based in Leeds, and can often be seen speaking with all the workers. After hearing Edwin was going to be spending Christmas Day alone with a ready meal, Ellie whirled into action and made sure he had someone to eat a Christmas Dinner with. Tears were inevitable after Edwin turned up to dinner in his best suit coupled with a big bunch of flowers. Ellie told the Sun Newspaper: “it was his first ‘date’ in 55 years and he was as nervous as a schoolboy. It made me cry because I could see how much it meant to him. For me it's the most important part of my job to speak with customers and see how their day is going." Edwin and Ellie are now coffee buddy's and meet regularly for a chat with Ellie adding "He is without a shadow of a doubt my favourite customer." "He is the cutest man and so chatty. I thought if it was my granddad and he was alone I would want someone to talk to him." Edwin got just as much out of the date as Ellie did commenting "The dinner made me very happy as it was unexpected and I had very pleasant company." 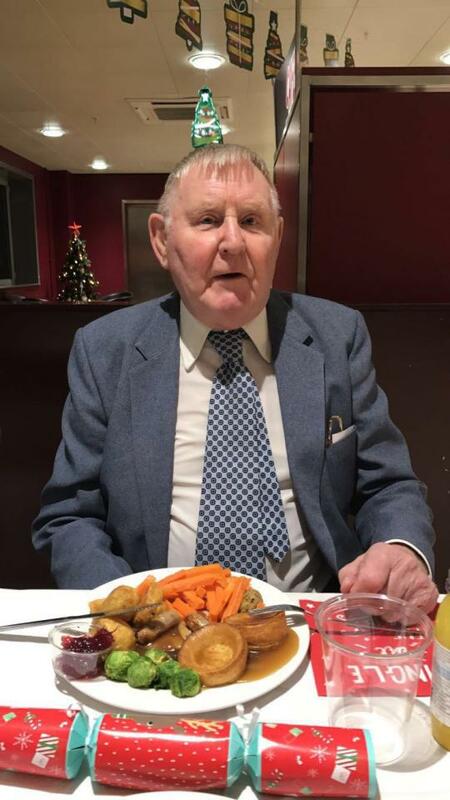 Edwin thinks it was his first date for around 55 years and as for the flowers - "...I wasn't going to go empty handed was I?" Got any random acts of kindness stories? If so, get in touch! "All I'm saying is, kindness don't have no boundaries." "The smallest deed is better than the greatest intention." "The more he cast away the more he had." "We would all like a reputation for generosity and we'd all like to buy it cheap."